From bedraggled beggars on the streets to the suit clad brokers on Wall Street – the ubiquitous cell phone is everywhere, in every pocket irrespective of the rich / poor status of its owners. It is no longer an item of luxury albeit it’s a must have today, a necessary evil. For technology comes with a price and the technology behind mobile phones is sure to make mankind pay a heavy price – the price of health and safety. The recent furore created in the media worldwide over the possible hazareds of mobile phone radiation has made us sit up and take note of the pros and cons of using the innocent looking mobile handset which had till date so surely and surreptitiously taken over our lives. We have learnt to live with the cacophony of ringtones emanating from every purse and every pocket, it has become a way of life. So much so that we run the risk of going into depression if we do not hear its tinkle. Professionals are dependent on it, parents rely on it to keep a tab on their wards and their whereabouts, stay-at-home moms swear by it for the juicy gossip etc it helps to disseminate and the youth – well it is their life line without which all would come to a standstill. The increasing number of cell phone users is a jawdropping figure and so are the mobile phone towers coming up everywhere to cater to the needs of the various network services. These towers are scattering an invisible net of radiation risking the lives of all and sundry. What is radiation one may ask. One can define radiation as energy travelling through space in the form of waves or particles. It occurs naturally and has always been around, we’ve evolved with it and we’re bombarded with it in one form or another every day of our lives from various sources such as the earth, from space and even within our own bodies. Some experts suggest a little radiation is a good thing and it is used in medical science to combat and diagnose certain illnesses. There are different types of radiation but lets concern ourselves with the radiation in mobile phones.The type of radiation emitted from mobile phones is electromagnetic radiation. It’s present in mobiles because they use radio frequency (RF) waves to make and receive calls. The doses are considered to be very small as the emissions are low power (short range). Nevertheless, researchers say that there are ways in which one can reduce exposure to these waves. Here the important question that arises is how much radiation is safe for us if at all it can be termed safe. Many of us keep our ears glued to the mobile phones 24 X 7 – by compulsion or by choice. How much damage has already been done already? Despite extensive research on the subject, there has been no conclusive evidence that using a mobile phone causes long term harmful effects in humans. Yet there are instances when many have complained of headaches, migraines even cancer due to the extensive use of mobile phones or radiation from mobile towers. The debate is on regarding the validity of such instances. According to the group of 31 scientists from 14 countries meeting at the World Health Organization’s International Agency for Research on Cancer (WHO/IARC) using a mobile phone may increase your risk for certain kinds of brain cancers.These researchers completed a review of the available scientific evidence on cell-phone radiation and brain tumors. The group, which is working on a research monograph classified cellphones in the carcinogenic category 2B, similar to chemicals like the pesticide DDT and gasoline engine exhaust. In layman’s terms it means cell-phone radiation is “possibly carcinogenic” to human beings. “A review of the human evidence of epidemiological studies shows an increased risk of glioma and malignant types of brain cancer in association with wireless-phone use,” stated Dr. Jonathan Samet, the chairperson of the IARC working group. Other harm that it can cause apart from the above are the lowering of bone density, causing infertility in men, slightly raised blood pressure at the time of use, direct brain warming after prolonged use, which disperses as soon as you stop using your phone and causes no harm,mild fatigue after prolonged use etc.A recent study in Sweden suggested that acoustic neuromas (benign tumours of the acoustic nerve) are twice as common in mobile phone users than in those who do not use mobiles. The pace of mobile phone technology is advancing by leaps and bounds luring the consumer with newest developments and technologies but sadly the same is not with the case of researches required into the study of potential harm that they can cause. Other studies have shown no adverse health effects associated with cell-phone use, but many researchers believe those results will change as time passes for future studies would show the long-term effects of cell-phone use by a significant number of people.Despite the mixed research results, many people are increasingly concerned about the possible health effects of frequent, long-term exposure to cell-phone radiation. More serious and urgent research is needed before we can know for certain the effects they have on human health before the scenario worsens. Will it be too late before we take cumulative steps in this regard. As for now it is confirm that mobiles do emit low doses of radiation and since we have become aware of it we need to take precautions when using them. 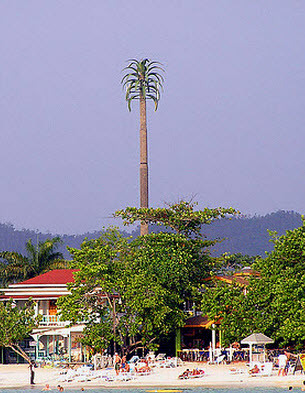 Mobile towers are a common sight these days and that too in very close proximity of our living quarters. Is such proximity too close for comfort, probably not. Is the common man on the street aware o the health hazard that these towers are creating putting them at risk of catching unwanted ailments as dangerous as cancer? Certainly not. As of now the health risk is considered to be very, very small, although some individuals may be more susceptible to radiation than others. Whilst it’s true that excessive exposure to RF waves causes heating, the rumours that claim about being able to cook an egg using a mobile phone are entirely false. In December 2007, Israeli researchers reported in the American Journal of Epidemiology that long-term cell-phone users who live in rural areas face a “”consistently elevated risk”” of developing tumors in the parotid gland compared with users who live in urban or suburban locations. The parotid gland is a salivary gland located just below a person’s ear. The common man on the street who are exposed to such radiation day in and day out is mostly unaware of the possible dangers of mobile usage. In such a situation we need to generate awareness and educate everyone on the safety measures that is to be taken to keep disasters in abeyance. Children especially should never be allowed to come in contact with the danger emitting gadget as their developing brains and bodies are far more susceptible to radiation effects than adults, absorbing radiation at three times an adult’s rate. Moving your phone 20cm away from your head reduces radiation doses by about 98%. Use hands free headsets which dramatically reduce radiation emissions into the brain, indulge in short chats. There are certain devices available in the market that you can fit to your phone that reduce the emissions of radiation or allow the body to neutralise the effects, but beware of over-hyped promotions by these manufacturers using scare tactics to market their products. Putting your cell phone on speaker mode, using a wireless Bluetooth headset or earpiece, which emit radiation at far lower levels than cell phones, carry your cell phone away from your body—in a purse, briefcase or computer bag—instead of your pocket where it is pressed up against you. Send text messages as then you hold your phone away from your body, and far away from your head, which reduces your exposure to radiation. When your cell phone has a weak signal, it has to work harder to transmit and receive, and that equals higher bursts of radiation. You face the same problem when you are moving quickly—riding in a car, bus or train, for example—because your cell phone is forced to repeatedly emit new bursts of radiation as it connects to different cell towers along your route. Therefore finish your conversation by staying put at the area where the signal is strongest.Most cell phones emit the most radiation when they first connect with the cell tower. 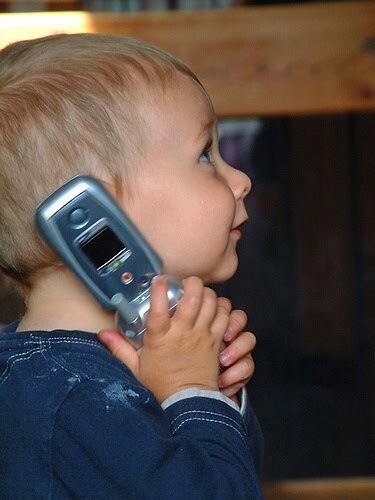 One way to reduce your exposure to cell-phone radiation is to wait until your call has been connected before you put the phone to your ear. These are simple ways that is in our means to avoid radiation to some extent. The world is waking up to the monster i.e, mobile phone radiation but is our country getting any wiser? India is said to have the worst cellular tower radiation norms in the world. However, steps has been taken and new guidelines are being implemented to curb the hazards. According to new rules cellular towers will have to reduce the amount of radiation they emit to 1/10th of the current level. But the picture seems bleak as given that most countries in the world have radiation levels 1000 to 10,000 times lesser than India. An IIT Bombay study done two years ago concluded that people living within 10 meters of cell phone towers receive 10,000 to 1 crore times more radiation than required for mobile signal strength. With the government ordering radiation from cell phone towers to be cut down to 1/10th of the existing level, will this be sufficient to prevent health hazards? Current radiation limit in India is so high that within two years, the health of one crore Indians could be affected, IIT Bombay research found. Clearly even with these new guidelines, the Indians are not in the safe zone. Most countries in world have 1/100th to 1/1000th permissible levels of mobile tower radiation. Statistics reveal that people of our country is at a high risk of sustaining damages due to being exposed to radiation by mobile phones and we are in a catch 22 situation even after the so called new norms. But being a third world country probaly our lives are not as precious as those of developed countries. What do we do now? Should we hit the streets demanding protection and safety from the labyrinth of mobile phones or should we take a backward leap and switch to the landline era of phones discarding the technologically advanced but dangerous cell phones? For as far as health is concerned I presume it is better to be safe than sorry. Having mobile towers in your neighborhood can also pose health problems like severe headache, sleep disturbance, constant body pain, memory problems, joint pains etc. The more severe health effects noted include infertility, miscarriage, neurodegenerative disorders (Alzheimer’s, Parkinson’s, etc. ), heart problems and cancer. Children are more vulnerable due to a developing immune system and thinner skulls which allows radiation to penetrate deeper. Women run the risk of health problems like hormonal imbalances and miscarriages as they tend to spend more time at home and are exposed continuously. There are several national and international studies where scientists have found a strong correlation between health problems and exposure to microwaves from mobile phones and mobile towers. Till 2009, the Indian government had not adopted any standards for safe exposure from mobile phone and mobile towers. In 2009, India adopted radiation norms specified by ICNIRP (International Commission on Non-Ionizing Radiation Protection) guidelines of 1998. However, ICNIRP guideline is outdated as it is only intended to protect the public against short term gross heating effects and NOT against ‘biological’ effects such as cancer and genetic damage from long term exposure. Also these safety standards are based on 6 minutes per day exposure, without accounting for people who live close to cell towers 24/7. In Jan 2011, the report by Inter – Ministerial Committee mentioned several health hazards at levels thousand to ten thousand times below the ICNIRP standards and made recommendations to reduce the exposure to 1/10th of what ICNIRP had earlier recommended. However, even that has not been implemented yet. There are several epidemiological studies done in various countries, such as, Germany, Austria, Brazil, Israel, etc. where they have reported increase in cancer cases in 5 to 10 years, where radiation level was more than 1 mW/m2. Cancer is the last stage and before that people living close to mobile phone towers have reported sleep disturbance, headaches, memory loss, lack of concentration, fatigue, joint pains, vision distortion, miscarriage, heart problems, etc. There are cluster of cancer cases in India also, which occurred after a few years of installation of mobile towers, and where radiation levels were around 10 mW/ m2. Lots of other benefits of reducing the power – cooling of the amplifier will not be required, and then it may not require Air conditioner. Total power requirement will be reduced, so Diesel Generator is not required and solar panel can meet this requirement. Operators can claim carbon credit and it truly leads to Green Telecom. School district to reveal study results from two cellphone towers Tuesday. Worried that cellphone towers on school grounds could expose children to harmful levels of radiation, a group of parents is fighting to have the two towers dismantled. A tower designed to look like a tall pine tree was installed between Valentine Elementary and Huntington Middle schools in 2006. Another went up behind San Marino High School shortly thereafter. School board members approved both and signed off on decades-long lease agreements with cellular companies that earn the public schools about $48,000 each year, San Marino Assistant Supt. Julie Boucher said. Then along came Ming Jiang, a former Motorola engineer who in August noticed a strange-looking tree while dropping her son off at Valentine. Jiang has organized a group of about a dozen parents and others calling for the tower’s removal. The Federal Communications Commission has ruled that radio frequency emissions from cellphone towers are not powerful enough to cause cancer and prohibits local agencies from denying tower permits over health concerns. World Health Organization reports have found no conclusive link between cellphone towers and cancer. But Jiang and her allies aren’t convinced. Chen said several studies suggest that radiation from cellphones and towers might interfere with DNA reproduction and impact the human brain. Conclusive proof, no, but “sufficient scientific evidence to raise a warning,” he said. In response to parent pressure, San Marino school board members voted Sept. 18 to hire a biophysicist to measure radio frequency emissions from campus cell towers. The board also hired the Planning Center, a Santa Ana consulting firm, to analyze those readouts. Officials are expected to announce results of those studies on Tuesday, and are organizing an Oct. 23 forum on cellphone towers. Meanwhile, the threat of legal action already hangs over the district. The tower near Valentine and Huntington schools is owned by Verizon Wireless. The one behind San Marino High belongs to Global Tower Partners, which leases it to Verizon, MetroPCS, Clearwire and AT&T, according to Boucher. Verizon spokeswoman Heidi Flato said all of the company’s towers operate well below FCC radio frequency emission limits. Verizon has commissioned its own third-party study of tower emissions near Valentine, Flato said. The Los Angeles Unified School District banned cellphone towers from school property in 2000, a move Jiang is hoping San Marino schools will emulate. But moving cellphone towers could be costly — “as expensive or more than building a brand new tower,” said Jackie McCarthy, a Cellular Telephone Industry Assn. representative. San Marino school board member Jeng Yen, a Jet Propulsion Laboratory engineer, said parents and school officials should review hard data before making up their minds. Yen said radiation-sensitive equipment he used four years ago during a robotics project at Huntington Middle School did not pick up evidence of radiation in classrooms. But parent Cindy Yung, a pharmacist, said any uncertainty is enough to prompt caution. “A lack of conclusive proof [of danger] does not mean there is no risk, and these are our children we’re talking about,” said Yung. MUMBAI: Though Sunday’s meet on the dangers of radiation from cellphone towers attracted nearly 400 residents from across the city, building a consensus on getting rid of the towers, a source of revenue for housing societies, is proving to be difficult. In Chunabhatti (E), members of a housing society are up in arms against the builder for installing a mobile phone tower on the structure. The tower helps the builder rake in Rs 8-10 lakh every year. “”Though a housing society was formed last year, the builder still collects remuneration from the cellphone companies. The consent of the residents hadn’t been taken while the towers were being set up. Now, residents want to remove the towers from the building as they are a health hazard and because the two heavy transformers on the terrace could damage the building,”” a building resident said. The residents of the Chunabhatti building are not the only ones suffering on account of cellphone towers. Surendra Patel (60), a Pali Hill resident, has given up sleeping in his bedroom due to constant headaches and sleeplessness, which he claims are due to the radiation from the cellphone tower on a neighbouring building. Like Patel, many residents in the H (west) ward in Bandra (W) have complained about health problems like headaches, sleep disorders, memory loss, fatigue, buzzing in the head, miscarriages and cancer and leukaemia. Prakash Munshi, a Malabar Hill resident who with actor Juhi Chawla was instrumental in getting 13 towers removed in the past, is offering guidance to Bandra (W) residents, who have formed a group – Action Against Cell Towers – under the auspices of the Bandra West Residents’ Association (BWRA). “”As more residents succumb to the lure of cellphone towers on their terraces in exchange for a pittance from cellphone companies, it is important that they are aware of the side-effects of their decision on all the people living in their own building as well as their neighbours. I lost my sister-in-law in 2008 due to brain cancer and I myself suffer from leukaemia. I cannot prove that this is due to cell tower radiation, but I cannot rule it out either,”” said Daryl D’Monte, president, BWRA, who had earlier spoken about a cellphone tower in a building behind his bungalow. Cornel Gonsalves demanded help from local corporator Karen D’mello to demolish the two illegal cell phone towers at Winnie Apartments oppsite Perry Cross Road and Joyce Lane building on St Andrews Road. With mobile penetration of more than 100%, many mobile towers are mushrooming in the cities. To provide seamless coverage to the mobile users, telecom companies are installing the towers every 300 meters in the city and sometimes less than that. This is all done to keep up the growing demand of voice and data traffic in the cities. Apart from the health issues which these mobile towers pose on human being, these mobile towers are making the city skyline aesthetically unpleasant. These mobile towers are just an eye sore when somebody looks at the skyline. No regulation on installations of these mobile towers in the cities has degraded the skyline of almost every city. Moreover there are no proper design specification for the towers and no designated approval body to approve the tower designs. Safety of such towers is also questioned by different agencies in the recent past including Resident Welfare Associations (RWA) of residential colonies. In European countries, innovative methods like camouflaging, landscaping and stealth structures are used to lessen the unpleasant visual impacts of mobile towers and antennas installed on them. And they also use low power radiating systems where the antennas can also be mounted on the street furniture like behind sign boards and light poles so that visual asthetics of the the city are maintained and do not create eye sores like seen above in India. DHAKA, Sept 14: An in-depth study of the impact of radiation emanating from cellphone towers on human health and environment is yet to be conducted in the country, even though the number of cellphone towers established by different operators has increased significantly in the last few years, following the expansion of mobile networks on a large scale. In 2008, the Bangladesh Regulatory Commission (BTRC) formed a committee to assess the impact of mobile tower radiation on plants, as a non-governmental organisation (NGO) had complained to the regulator that installation of such towers was hampering coconut and betel nut production in Barishal and Khulna divisions. Field workers with the NGO had found that the sizes of these two species of plants were becoming gradually smaller, and showed black spots on the plants near mobile towers. The BTRC committee, however, did not produce a complete report as, according to it, the evidence was not conclusive, and so, mobile towers could not be blamed. An expert panel of the Global System for Mobile (GSM) communications, a world-renowned telecom research organization, conducted a small study in 2010. It did not express any opinion about the harsh impact of mobile tower radiation on human health and ecology in Bangladesh. The study, however, indicated that the number of different types of birds has been decreasing in Dhaka city, owing to the radiation caused by the growing number of mobile towers. the largest mobile operator, has 14,000 towers. Banglalink, Robi, Airtel, Citycell and Teletalk have 5,200, 8,200, 4,100, 2,900 and 1,400 mobile towers, respectively, across the country. Talking to The Independent, Dr Satyaprashad Majumder, professor of telecommunications engineering at Bangladesh University of Engineering and Technology (BUET), said the radiation emanating from a mobile tower per square metre ranges from 17,100 micro-watts to 72,000 micro-watts. The human body can tolerate radiation up to 1,00,000 micro-watts, but birds and other flying animals cannot tolerate more than 40,000 micro-watts, he explained. “Sometimes, we find that the tolerance level of some people has decreased to 50,000 micro-watts. If they are directly exposed, they might suffer from skin diseases, as well as from cancer,” he warned. Wasim Hussain, a BUET lecturer currently carrying out his PhD research on mobile tower radiation at the University of Toronto, told The Independent by e-mail that such radiation is emitted continuously and is more powerful at close quarters. On the other hand, field intensities drop rapidly with distance as one moves away from the base of the transmitters, because of the attenuation of power with the distance, he explained. Hossain wrote that the sector antenna, which is a popular design of mobile phone towers, has a coverage of 120 degrees on the horizontal and about +/-5 degrees from the vertical. The sector antenna, which works as a base transceiver system (BTS), should be established at a minimum height of 300 feet for better coverage and radiation safety. But, as Hossain pointed out, cellphone companies in Bangladesh are flouting internationally prescribed rules and are installing towers in populated localities by taking leases of pieces of land or roofs of buildings, some of which are not as tall as 300 feet. 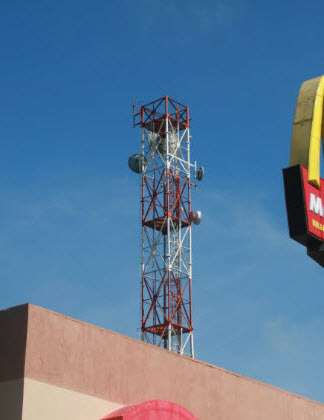 In Western countries, such mobile phone towers are installed at a height of at least 400 feet and are located far from educational institutions, hospitals and similar buildings as there are regulatory guidelines. Bangladesh, however, is yet to have any such guidelines. Another expert said the minimum distance of a tower from a residential building should be at least 30 metres. 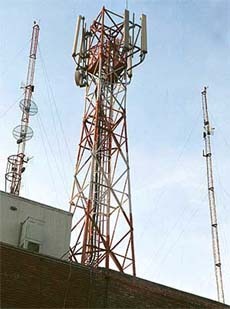 But in Bangladesh, especially in metropolitan cities, mobile towers with antennae have been established right on top of residential buildings. Several other studies conducted in different countries have found that even low levels of radiation have resulted in damage to cell tissue and DNA. This has also been linked to the onset of various forms of cancer, brain tumours, suppressed immune function, mental depression, miscarriage in pregnant women, Alzheimer’s disease and a number of other serious illnesses, according to material sourced from the internet. 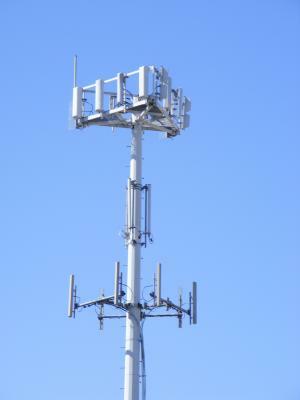 In India, a national committee comprising officials and experts from the departments of telecom and science and technology, Indian Council of Medical Research, Council of Scientific and Industrial Research (CSIR), Indian Institutes of technology (IITs) and telecom operators conducted an extensive year-long research study on mobile tower radiation. India, earlier, had the worst cellular tower radiation norms in the world. But after the research, which was completed a few days ago, the committee suggested a new set of guidelines to eliminate health hazards caused by radiation by reducing the amount of radiation the towers emit to one-tenth of the current level. The Indian government recently implemented new guidelines, which stated that cellular towers will have to reduce the amount of radiation they emit to one-tenth of the current level. The Independent talked to top officials of the six mobile operators in this connection. Kazi Monirul Kabir, chief communications officer of Grameenphone, said the company had co-operated with the BTRC study of the impact of mobile tower radiation on plants in 2008. Kabir said it is ready to cooperate if the government wants to conduct further studies. Mahmudur Rahman, executive vice-president of the operator Robi, said the company is thinking of installing greener and environment friendly towers. Mehbub Chowdhury, chief executive officer of Citycell, said such a study should be conducted at the government and regulatory levels. An industry expert, who preferred anonymity, said mobile towers emit radio frequencies which are a sub-category of electromagnetic radiation (EMR). Such radiation is of little concern because of the fact that EMR is not classified as an ionizing form of radiation. Non-ionizing radiation only causes harm in large doses, and poses a threat to people only through the heat energy it generates. According to the expert, this has meant that the potential health risks and consequences of cellphone tower radiation have been downplayed. BTRC consultant and a former director-general with the regulator, Rezaul Quader, said the commission has already held talks with the telecom ministry for conducting a nationwide study to find out the impact of mobile phone tower radiation on human and animal life. The regulator has, in principle, also approved some rapid infrastructural changes, including handing over of maintenance of mobile towers to third parties and incorporation of a provision to introduce a network-sharing mechanism to reduce operational costs, Quader said. “This will create better and greener maintenance work of mobile towers,” he said. 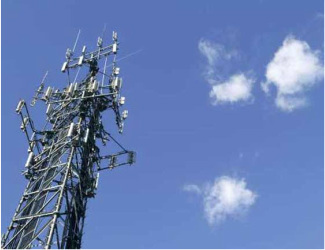 BTRC director of spectrum, Col. Rakibul Hossain, said there has been no large-scale investigation into the harmful effects of radiofrequency fields from mobile phone towers. “While many theoretical studies in the world have said it is harmful, on the other hand there are many other studies which have said it is not,” he said. He, however, admitted that the telecom regulator currently lacks guidelines regarding construction of mobile phone towers. Hossain said the BTRC will carry out a large-scale investigation soon. Guidelines will be published after the investigation is completed. Srinagar, Sep 14: A report on mobile tower radiation by the Indian Institute of Technology Mumbai has brought to fore some startling revelations regarding the effects of radiation on human population in India. The report says kids are more vulnerable to the mobile tower radiations. The report submitted by Prof Girish Kumar to the Department of Telecommunication New Delhi states that mobile phone tower radiation poses a “dangerous threat” to human, animal, bird and plant species in different states of India. “Studies conducted in 2010 reveal that excessive use of mobile phones has doubled to quadrupled brain tumor risk,” the report by the IIT’s Electrical Engineering Department states. Pertinently, sometime back experts had told Greater Kashmir that growing mobile towers were posing a grave threat to living species in J&K. The state government is unable to constitute a team to study the possible ill effects of mobile phone radiation in J&K, they had said. The national-level report states that a number of adverse health effects have been documented including altered white blood cells in children, childhood leukemia, impaired motor function, reaction time, and memory, headaches, dizziness, fatigue, weakness, and insomnia. “Children and pregnant women are more vulnerable to cell phone radiation. The radiation also causes irreversible infertility and damages DNA,” the report states. The report states that radiation has an adverse effect on skin and is responsible for tinnitus and ear damage. “The radiations also severely affect eyes and weaken bones,” it states. The report also recommends solutions to reduce the ill effects of radiation with focus remaining at installing mobile towers with lesser transmitting power. To keep the phone away from your head, use speakerphone or send text messaging instead. Every inch you can get the phone away from your body reduces the amount of radiation you are absorbing. If your cell phone comes with wired headset, you may use it to keep the phone further away from your body. Although the headset may still transmit radiation through the wire – but it is a very low level. If that is a concern, you can buy a ferrite bead for just a few bucks at most electronic stores. It attaches to the wire and it absorbs any radiation traveling through the wire, thus reduce your exposure to cell phone radiation. Bluetooth wireless earphones will emit certain levels of radiation. Even it’s far less than cell phone radiation, but most people wear the bluetooth device all the time. If you use Bluetooth device, switch it from ear to ear so this may reduce your exposure on one side. Take it from your ear when you’re not on the phone. 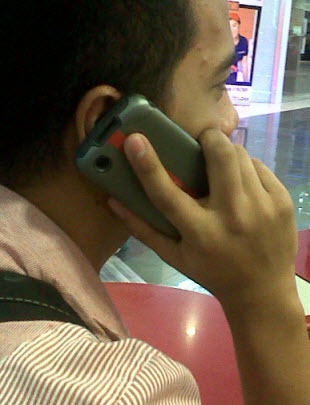 If you really want to place the phone near your head, switch ears regularly while talking on the cell. This may limit prolonged exposure on one side, which has been linked to increased risk of brain cancer on the side of the head where the phone is usually held. When the phone is not used, set to offline or flight mode, which will turn off its transmitter. This still allows you to use the phone to play games or listen to music. Don’t make or take calls in elevator, train or car. Moreover, using a cell phone while driving will also endanger you and other users’ safety. Do not use the phone when the signal is weak, or when you’re traveling at higher speeds in a car or train. Because this will automatically boosts power to maximum as the phone trying to connect to a new relay antenna. You probably need phone alarm to help you get up early. But do not put the phone near your bed, particularly near your head position. Electromagnetic fields can reduce the production of melatonin in the body which may lead to an increase risk of cancer and other diseases. A recent study found that men who carried their mobile phone in their pockets had 25 percent lower sperm count than those who did not carry a phone. Different parts of the body absorb different intensities of radiation, and testicular tissue may be more vulnerable. Do not hurry place cell phone near your ear while your call is connecting. At that time, the phone is sending out a strong signal. Gadgets such as BlackBerry, iPhone, and Treo produce higher emissions than cell phones because they are rely on battery to power up things such as e-mail, internet connection and a color screen. Most cell phones come with safety manual which tell their consumer to not keep the phone next to their head, or even in their pocket. Apple iPhone 4 says keep at least 5/ 8 inch from the body when transmitting. And the BlackBerry Bold suggests at least 0.98 inches from the body when the BlackBerry device is in use. If you keep it less than they suggested, the manufacturer can not guarantee the amount of radiation that you are absorbing will be a safe level. If your conversation is going to be long, use a landline. One study found that after two minutes, the brain’s electrical activity can be altered for at least an hour. Don’t forget, the risk of brain tumors start at a relatively low level of cumulative lifetime radiation exposure. Complete submission to charm of technological wrap has overwhelmingly eased our lives so much so that the buzz about its harmful consequences on health propagates a slow start. Foot-tapping jingles of cellular companies, beguiling customers with lucrative free talk time offers; need to be given a second thought in the wake of rising incidence of health hazards caused by its radiations. On 31st May, 2011, International Agency for Research on Cancer, a part of WHO designates cell phones as “possible human carcinogen”. Evidences, in varied case studies, affirming the increase of Glioma and Acoustic Neuroma brain cancer in people with proximity to mobile phone towers, prodded the Government to implement stricter radiation norms at national level, in effect from 1st September, 2012. According to new guidelines, the exposure limits for base station (BTS) emission have been lowered to one tenth of the existing exposure. Now the permissible radiation levels in India, 0.45 W / meter square for 900 MHz, still surpasses the International Standard of 0.001 W / meter square accorded safe for 24×7 exposures (Bio Initiative Report 2007). The mobile handsets with Specific Absorption Rate (SAR) limit of 1.6 W / kg over 1 gram of human tissue is the new norm with exposure limit to be displayed on handsets made mandatory. Ranchi Municipal Corporation framed guidelines, for installation of cell phone towers in February 2008, was lying sedate and ineffectual. In coincidence with Centre’s move, the RMC has pitched up its activity pulse in issuing notices to the service providers of 356 BTS towers in the capital for furnishing relevant papers to reign in unauthorised installation of mobile towers. Prima facie it appears that hundreds of mobile towers in the capital and the state have not obtained the due sanction of the concerned authorities. 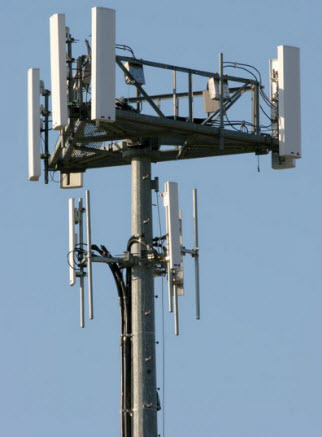 RMC records show only 36 applications lying for approval for cellular towers. Flouting the safety norms, cluster of BTS towers mounted on roof tops and more than one cellular tower erected within one km of existing ones near residential areas, schools and hospitals are commonly spotted. It intensifies overlapping of high radiation fields grievously affecting the health of humans, animals and birds. People living within 50-300 metre radius of cell phone masts are in harmful high radiation zone. Dangerously low, 10 ft to 20 ft BTS towers have been installed defying the safe prescribed height of 50 ft to 200 ft. Ratu, Upper Bazar, Circular Road and Lalpur are affected areas. Mobile service operators self assess the BTS transmission in compliance with the TERM rules. Yielding to temptations like increasing radiation level of BTS towers to upgrade coverage, thus cutting expenditure of mounting more towers is not ruled out. However, the Inter Ministerial Committee recommendations empower the Urban Development Authority to keep a tab on cellular installations, their structural safety clearances and low power transmissions. The CEO, RMC, Deepankar Panda informs, “Purchase of radiation detectors is imminent. BIT Mesra has been roped in for expert consultation with vigil radiation checks being outsourced to them”. Mobile subscriber base in Jharkhand is nearly 1.5 crores and catering to them are 8 service providers. Large number of cellular towers in the state emphasise the need for drastic abatement measures against harmful EMF radiation. Radio waves emitted by handsets and towers cause heating of human head and body fluid. Disease symptoms arise due to related changes in electrical activity of the brain. Risk factors are enhanced 5 times in children and pregnant women. Can Laptops Using Wireless Routers Be Harmful? 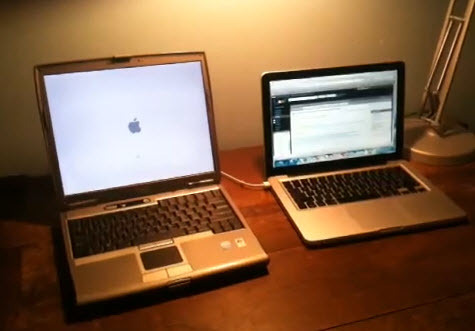 When used directly in your lap, laptops computers connected to the internet via wireless routers can be dangerous to your health. It’s recommended that you use a laptop shield for protection such as The DefenderPad. Laptops and other electronic devices are manufactured to meet safety standards to keep electronic emissions low enough to insure the safety of the user. However, when these standards were developed, no one realized that there would be zero distance between the devices and the body. When in our laps, these devices emit Electromagnetic Fields (EMFs) that include lower frequency Electromagnetic Radiation (EMR) and higher frequency, Radio Frequency (RF) radiation. In the past, Electromagnetic Fields (EMFs) that may have been at a safe distance away, are now at a zero distance from our bodies with such devices as laptop computers, posing potential health dangers. In the past, there was minimal concern for lower frequency Electromagnetic Radiation (EMR) from computers, because our bodies were at a safe distance away. Computers sat on our desks, hardwired to local area networks (LANs). Now, we use laptops directly into our laps as they emit lower frequency, Electromagnetic Radiation (EMR) and Radio Frequency (RF) radiation. These radiations are strong, high intensity fields signals, much closer to our bodies than we have experienced in the past. Additionally, Electromagnetic Fields (EMFs) are constant-emitting sources. This means that when you use the device directly in your lap, it is a constant radiation source exposing you to EMR and RF for the entire time it is contact with your body. Radio Frequency (RF) radiation can be considered thermal (heating) effecting emissions. Recent studies link exposure to health problems that include lowered sperm count, DNA breakage, memory loss, sleep disruption, decreased immune function, dizziness, headaches, higher blood pressure and reduced DNA repair capacity. There have been recent studies that claim that Radio Frequency (RF) radiation such as those emitted by WiFi can cause brain cell damage. The Australasian Journal of Clinical Environmental Medicine also concludes Radio Frequency (RF) radiation increase the risk of autism. Laptop WiFi RF radiation and lower Electromagnetic Radiation (EMR) are byproducts produced from computer operations that can be diverted, absorbed, and eliminated as a threat to your body. Using advanced, proven technologies, both EMFs and the RF radiations can be shielded from the body. The DefenderPad is a state-if-the-art shield that offers you the best protection. It’s considered the most complete body protection solution in the market. You and your family will be assured a safer environment when using laptops, iPads, or other electronic devices in the lap.